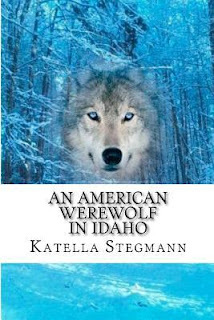 Wise cracking werewolves, non-sparkling vampires, a dash of romance, and a journey of self discovery. Being a teenager is hard. It's even harder when you're part wolf. Cassie Hill has always had trouble fitting in. She's not smart enough to be in the book club, not emo enough to be in the goth club, and not glamorous enough to be in the girls with 'tudes club. But when she starts waking up in the middle of the woods with little memory of how she got there she learns she belongs to a club many people don’t know about. She discovers a world filled with secrets, corruption, and a wacky pack of werewolves who spend their time playing dare or dare, placing ridiculous bets, and fighting crime. But she also discovers that being a werewolf isn't all fun and games. In between the laughter and fun she and her family stay busy protecting the town and investigating suspicious murders. Just when Cassie thinks she has her life balanced a new guy moves to town to throw her completely off her game. She is instantly smitten with him, but when she gets to know him she finds out he is harboring secrets of his own. She wants to believe the best in him, so the internal battle between her intuition and her heart clash. She digs for answers about him, but the more she digs the more she discovers about her past. It is only a matter of time before the lies in her life start to unravel. Nothing in her world is as it seems. Can she find the courage to follow her heart? I have to say that this is an awesome set of characters. Each are unique to the story. Cassie just finds out that she is a werewolf and becomes part of this awesome pack: Zach (the Alpha), Rob and Kat (husband and wife), Finn and Sean (brothers and so FUNNY), and Conner (emo and reserved). Cassie deals with all this change as best as she can but then there is a new guy in town, Jackson. He is different but no one can figure him out. However, Cassie is drawn to him. She wants to have a normal life but at the same time she knows that she is still a wolf. However, there is bad guy, Devon, who wants Cassie and her ring! This just adds more to her stress levels because she does not want to put Jackson in harms way. What is a girl to do? That is why there is a Book 2!